Denver is the home of Red Rocks Amphitheatre, Sports Authority Field at Mile High, Elitch Gardens Theme Park, and Cherry Creek Arts Festival. Enjoy the most populous city in Colorado and native home of the Cheyenne and Arapaho tribes. We've helped many people with therapy, health and wellness in Denver and elsewhere in the Centennial State. 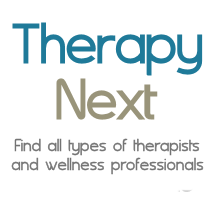 Therapists in Golden, Arvada, Englewood, Aurora, Littleton, Wheat Ridge, Parker, Westminster, Broomfield.